Visiting a coffee shop or restaurant for your daily brew is becoming an increasingly more immersive occasion altogether, with customers seeking an all round experience that includes not only an exceptional cup of coffee – but also an exceptional surrounding in which to enjoy it. It is safe to say that La Petite Bretagne ‘got the memo’. Or maybe they wrote it! Inspired by his grandmother, who every Sunday would cook delicious sweet and savoury crepes (also known as galettes) for the whole family, Antoine DÉTRIE set out to share what Brittany does best with Great Britain! And so, La Petite Bretagne was born. There is no question that La Petite Bretagne has been well received, having recently won an award for best restaurant in Hammersmith. 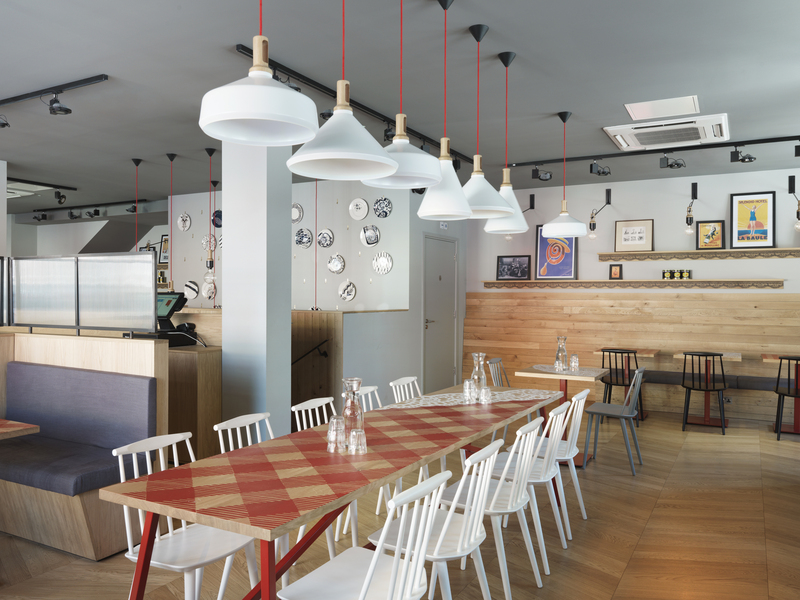 Their open-plan kitchens allow customers to witness their own crepes being freshly prepared. These crepes and gluten free galettes are without a doubt a speciality of La Petite Bretagne – who are quick to dispel the myth that crepes are only for desert. 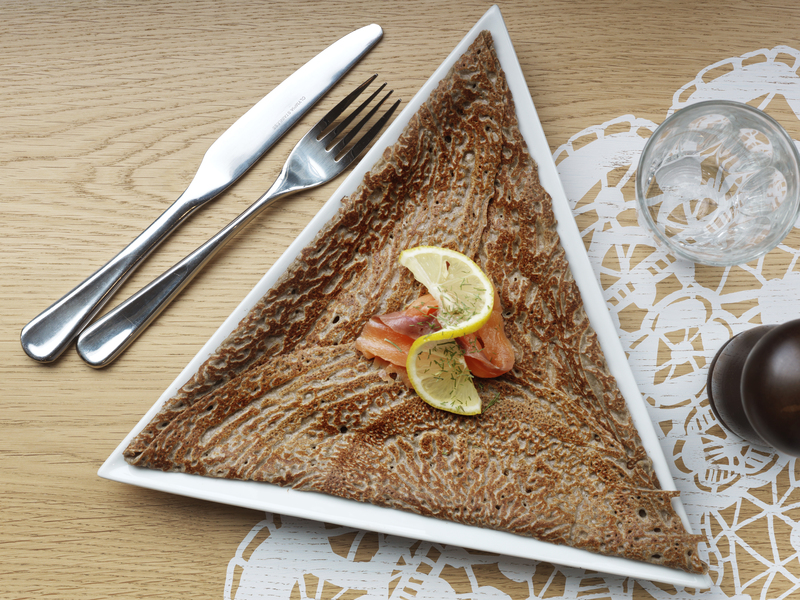 They explain that crepes can be sweet but also taste delicious when made with buckwheat flour and stuffed with savoury fillings. This is what they call ”galette” in french – and they are understandably proud of it! The design of La Petite Bretagne is inspired by the feel and aesthetic of the traditional French Bistro, and the historic craft of Brittany from where the crepe originates. The seating booths take their inspiration from the french ”Box Beds” that people used to step inside to sleep. Gingham tablecloths, industrial lighting , homely decorative details and sturdy heirloom-style furniture have all been given a unique contemporary twist. 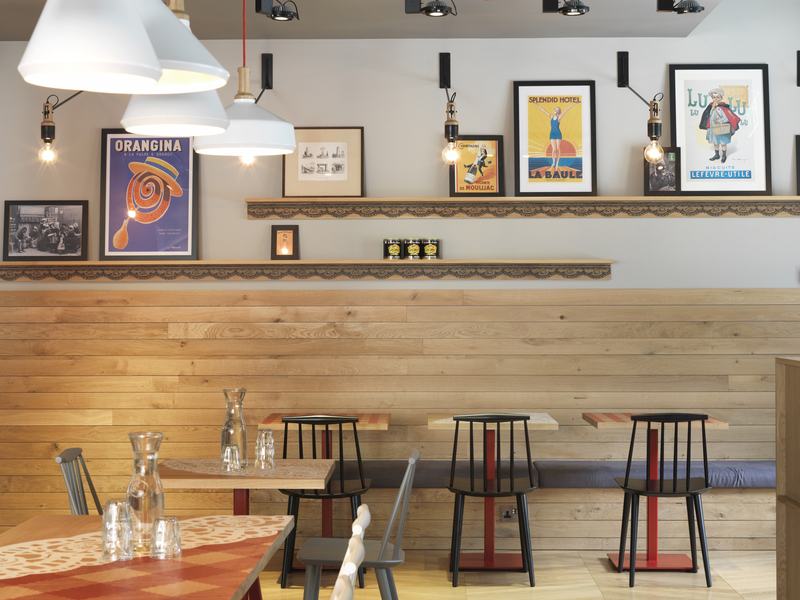 Inspiration is taken from the famous lace in Brittany with commissioned illustrations by Katherine Gorham screen printed on the tables and on the custom made curtains in the booths. This place is full of interesting snippets of Brittany that may leave you in a pleasant little world of your own. Described by Stylist as ‘the best of the bunch!’ in terms of crepe shops in London – we would certainly recommend this petite merveille. Oh, and we hear the coffee is amazing too!